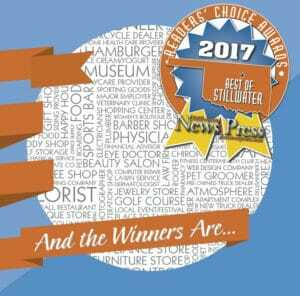 Thank you to everyone who has supported us on our journey to becoming Stillwater’s Small Business of the Year! It would not have been possible without all of our amazing staff and students working hard every day to be the best at what we do! 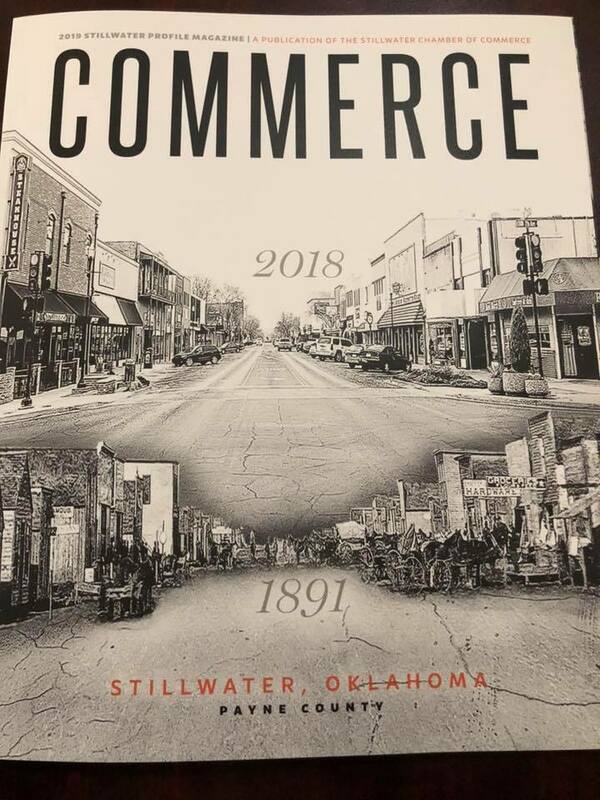 Thank you to the Stillwater Chamber of Commerce. 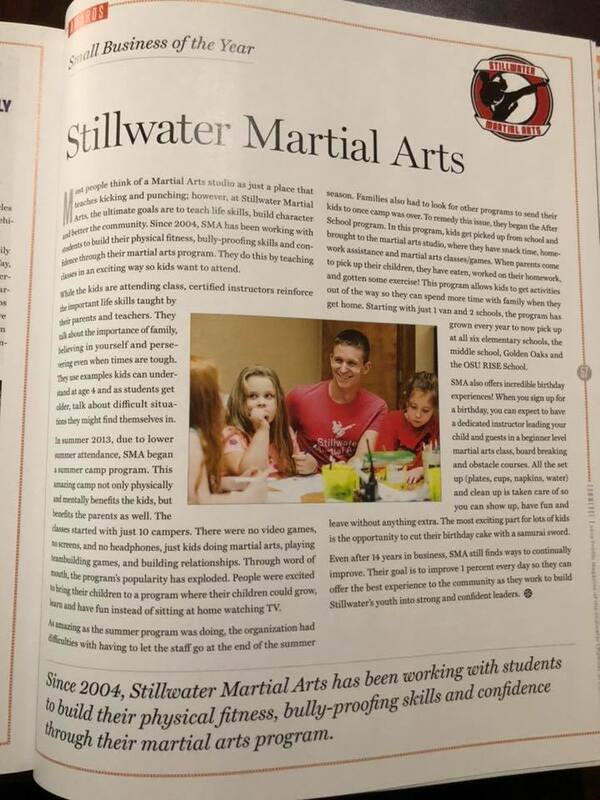 We are so blessed to be teaching Martial Arts in downtown Stillwater, and thank you again for the explosion of growth in our After School and Summer Camp Programs! What’s Going On? 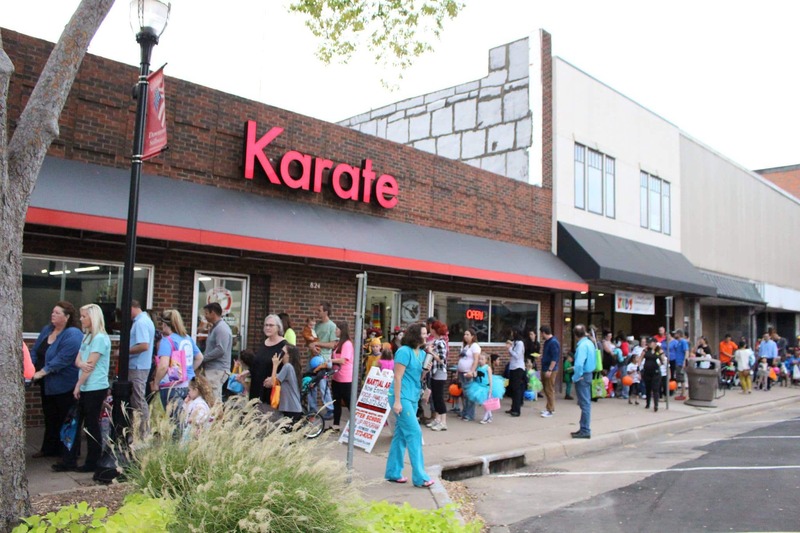 October is an extremely busy week for us at Stillwater Martial Arts! 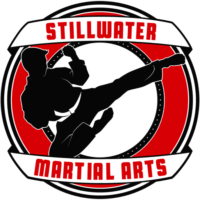 We have our Annual Fall Tournament where students of our sister school, Enid Family Martial Arts (http://familymartialarts.net/), will be coming down to Stillwater to participate! We’re also participating in the annual Oklahoma State University Homecoming Parade! If you’re interested in walking with us in the parade we’ll have a sign up at the front desk. It’s going to be a blast. Along with that the downtown Halloween festival is coming up on October 30th. This is where kids dress up in their costumes and trick or treat around downtown businesses. There will be bounce houses, and other games to play, and SMA will be hosting a free obstacle course! 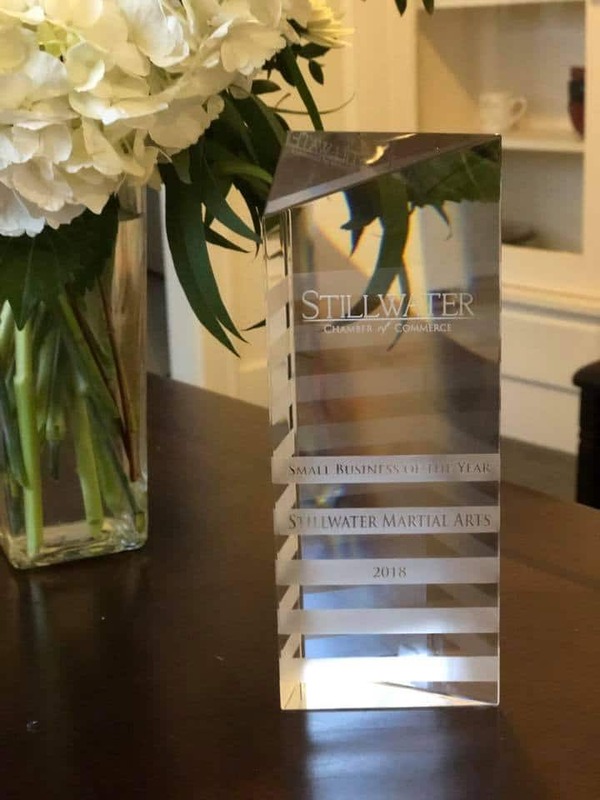 (http://stillwatermartialarts.com). Lastly, we’ll be hosting our yearly Halloween Costume Class. To participate come to class on Halloween in your costume and we’ll do a great class that lets out early enough for kids to still trick or treat! 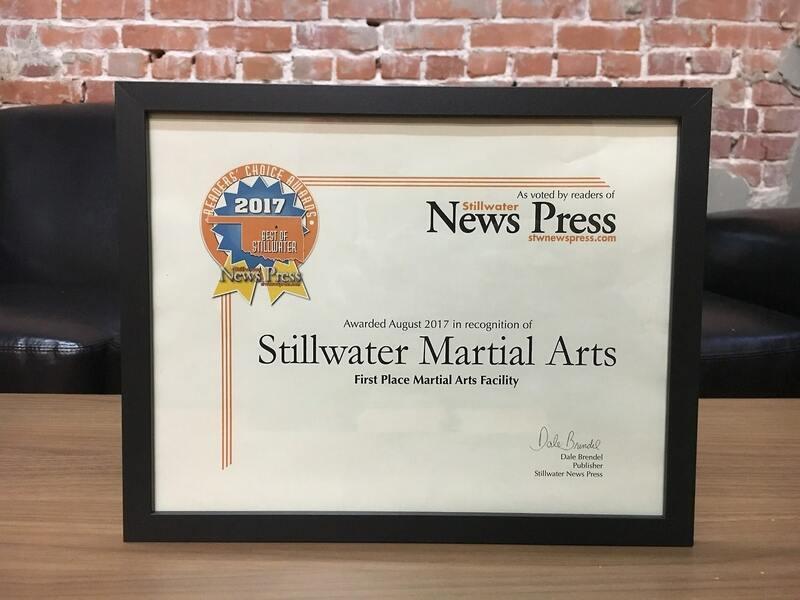 The Stillwater Newspress just announced that Stillwater Martial Arts won Best Martial Arts Studio for 2017! 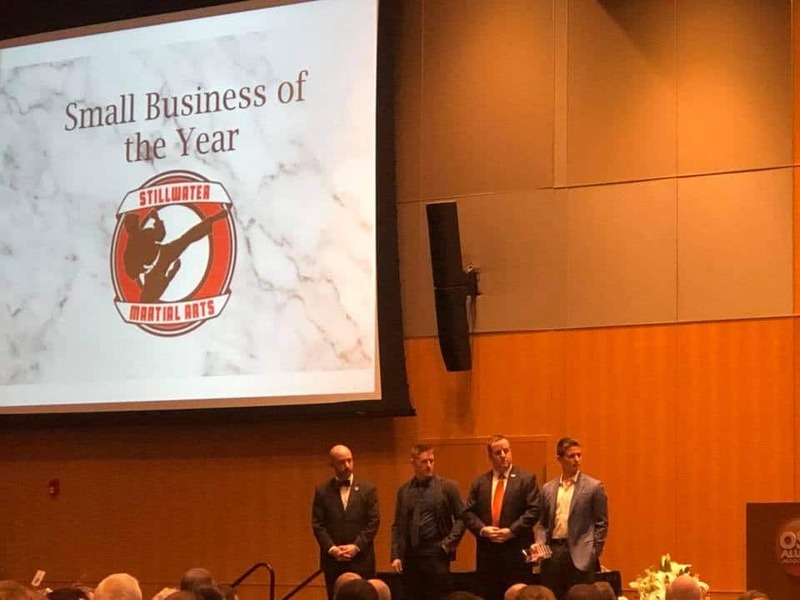 This means we have won all 4 year’s since Mr. Alex has been the owner! 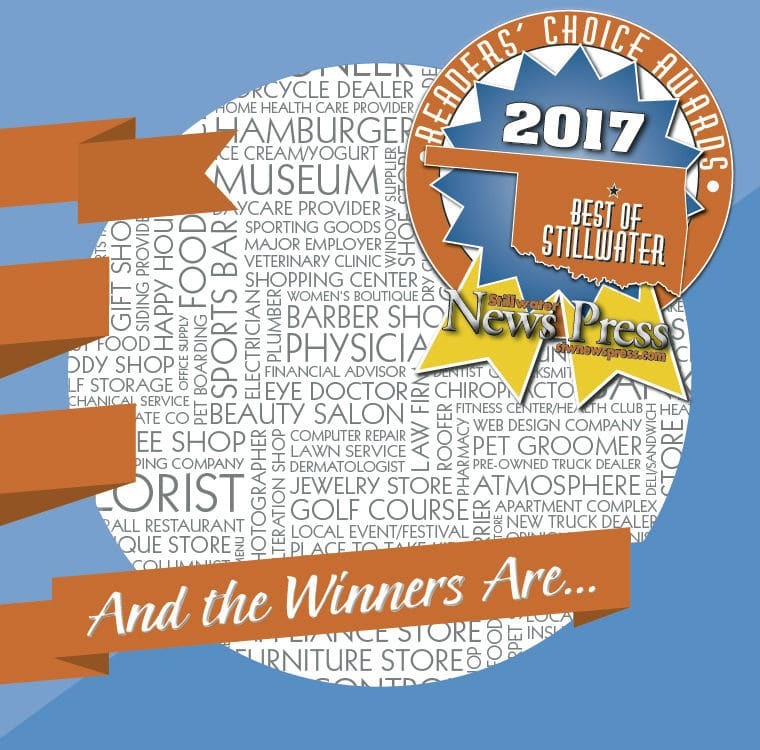 We want to thank all of our awesome students, parents, families, and supporters for voting for us and for continuing to make our jobs so much fun! Free Parents Night Out: Dodgeball Madness! In this month’s Parent’s Night Out event, students will be put into teams based on age and play many different forms of dodgeball! Dodgeball is a great way to get some exercise, have a lot of fun, and play with friends. We are allowing 40 people for this event, make sure to sign up at the front desk to reserve your spot today! On March 10th we will hold our Annual Spring Break Board Breaking event! Students will get the opportunity to sign up for boards at the front desk, then as a group, break them together on March 10th! You will learn a few techniques that you can use to break your boards, or you can use your own favorites. Many of our Black Belts and instructors will also be signing up to break concrete blocks, you don’t want to miss it! 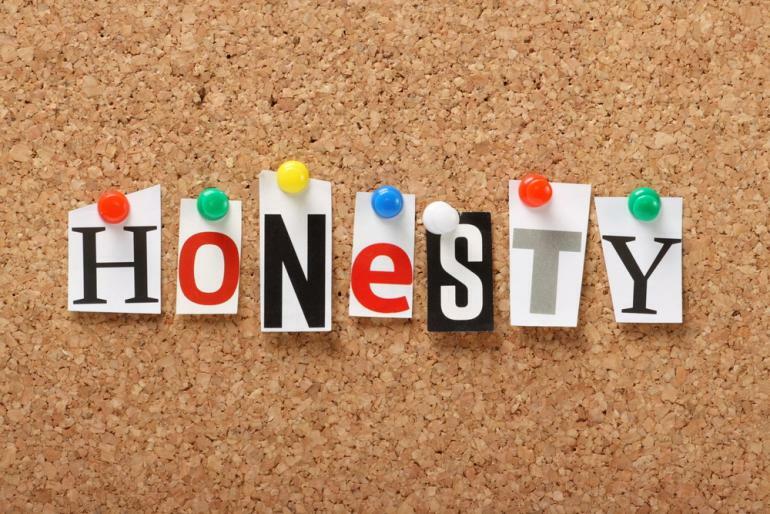 In March, we will be discussing the importance of demonstrating honesty in everything we do, even when no one is looking. Stay up to date on when all of our events are, as well as graduation, class closures and camp days! Coming up in March is our Spring Break Camp! We’ll be holding an all day long camp. If your child needs somewhere safe, fun, and will help the burn energy during Spring Break, we can help you out! You can pick the whole week or just a few days! Give us a call at (405) 372-5425 for more details. P.S. Remember if you are a current after school member, this camp is free and you can sign up where you normally pick up your kids. Why choose summer camp with us? 1) Take one week or all summer (discounts applicable); our curriculum is different each week, which means kids attending more than one week stay engaged and have an amazing time. 3) Our camps include AWESOME, CHARACTER BUILDING activities like Martial Arts Games, Team Building, Leadership Training, and even real Martial Arts classes! 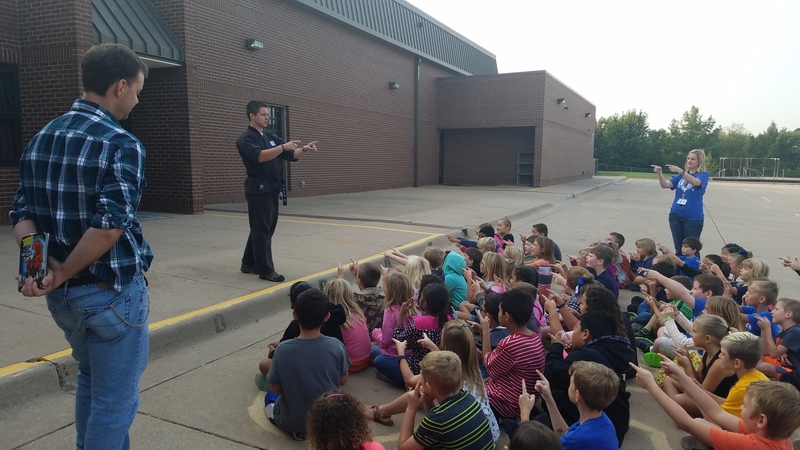 4) Our staff are professionals! We teach children for a living – because we WANT to, not because we HAVE to. That makes ALL the difference, and families who attend our programs say they really appreciate it. Do NOT wait, our camps ALWAYS fill up. Fill out for form to learn more, schedule a tour of our facility, or reserve a space for your child. Only 40 Spaces in each week, please register ASAP to ensure your space. We always maintain good camper to counselor ratio, so we limit attendees to be sure each camper has an amazing experience. Click here to check out our upcoming Camp Days, as well as our FREE monthly Parents Night Out Events! Click here for the December Newsletter!